In layman's term, the word rooting refers to the process whereby one gains access to administrative commands and functions of the operating system in his phone. In short, once you root your Android device, you can act as the ruler of your phone. Rooting is extremely beneficial as you are able to install or uninstall the apps that you need and do not want. It helps in saving battery life and increase your phone's performance making it faster and better. You can even install apps, install custom ROM's and enables Wi-Fi tethering which otherwise is not possible and additionally also helps you in keeping a backup of the apps on your phone. In this article today, we will focus on rooting the ZTE Blade L2. The ZTE Blade L2 is one of the cheapest phones launched in the year 2014 with the Jelly Bean Android version of v4.2. It runs on an impressive 1.3 GHz MediaTek MT6582M with 1 GB RAM to support. The ZTE Blade L2 has an 8 MP primary camera with LED Flash and 2000 mAh battery. One of the best features of the ZTE Blade L2 is its dual sim capacity and a 4 GB internal memory which is expandable to 32 GB. Now let us understand how to root the ZTE Blade L2 with as well as without PC. No matter how attractive rooting ZTE Blade L2 looks, you must keep in mind a few important pointers before starting with the process. Your ZTE Blade L2 must have at least 70-80% battery life as the process of rooting is lengthy and it is not advisable to block it in between. To be on the safer side and avoid loss of any data, backup all your contacts, SMS, videos, photos, call logs available on your ZTE device. You must have an unlocked phone to proceed with the rooting process. Rooting will void your ZTE Blade's warranty. However you may unroot it later to get your phone warranty back. Your ZTE Blade L2 driver should work well on your PC without any error. It is preferred that you use an original USB cable to connect your device. Should have USB drivers installed for a successful rooting. Last but not the least, enable developer mood/USB debugging. So these were the few important requirements that one must be aware of before starting rooting of their ZTE Blade L2. Now that you are aware of them, let us focus on the two different and successful methods of rooting your ZTE device. The Android Root toolkit developed by dr.fone toolkit is one of the most effective methods that you can use to root ZTE Blade L2. This method is not only 100% safe and secure, but also supports over 7000 devices and boasts being the highest in number of success rates in the industry for rooting. Now that we have shared a bit of background on this toolkit, let us go through the simple and hassle free step by step instructions that it has to offer for a successful rooting of your ZTE Blade L2 device. Step No 1: The very first step of rooting your ZTE Blade L2 using dr.fone toolkit, is to connect the device. To do this, you will have to first launch the Wondershare dr.fone tookit for Android on your computer. Once launched, you just have to click on Root that would appear on your computer screen. Once you click on the icon called Root, proceed to connect your ZTE Blade L2 with the computer using a USB cable. If you have 4.2.2 Android version, you will see a pop-up message on your screen which will ask you to click on OK to continue the process of USB debugging. Now the dr.fone toolkit will automatically recognize and connect your ZTE Blade with the PC. Step No 2: The second and the final step is to detect and root the ZTE Blade L2 device. Once you see that the phone is successfully connected, click on the icon called Start which will be visible on the dr.fone toolkit. The Android toolkit from Wondershare will now start to detect the ZTE Blade and look for the proper method of rooting your device. The detecting process takes a few minutes so it is advisable to be patient and not touch your device. Now the dr.fone toolkit will be ready to root your ZTE Blade L2. Simply click on Root Now to continue. During the process of rooting, you will once again see a pop-up message, this time asking you to confirm and allow rooting of your ZTE Blade. Click to confirm and continue the process. There it is, in just a few minutes, your ZTE Blade L2 will be successfully rooted for a better and faster performance. In this part we will detail the instructions that we must follow to root ZTE Blade L2 without using computer. For this purpose we will use the Framaroot Application on the phone itself which was developed by alephzain (XDA developer). Root ZTE Blade L2 using Framaroot. Step No 1: The first step is to change your phone settings to allow installation of third party apps. To enable go to, Settings>Security>Device Administration>Unknown Sources - check the same to enable it. Step No 2: Once enabled, download and install the Framaroot Application on your ZTE Blade L2 device. 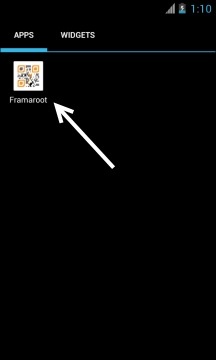 You will be able to see the icon of Framaroot Application on the menu screen once successfully installed. Step No 3: Tap on the icon to open the application. Step No 4: Once the application is launched your phone screen would look something like the image below. Step No 5: As you would see below, there will be three options visible on Framaroot screen of your ZTE Blade L2, namely, Boromir, Faramir and Barahir. Click on the last option called Barahir. Step No 6: You will now see a pop-up message saying "Success" on your screen. Step No 7: In this step you simply have to restart your ZTE Blade L2. Once done, you will see a SuperSU icon in the applications menu of your phone. If this app exists and is installed in your phone, it means you have rooted your phone correctly. Congratulations! you have successfully rooted your ZTE Blade L2. Note: You may also alternatively check the status of root for your ZTE Blade L2 by using Root Checker application. So these were the two best methods through which you can root your ZTE Blade L2 both with and without PC. However, it is important to keep in mind that the success rate of rooting devices using the PC versions is usually much higher than the ones without PC. Eager to know how to jailbreak Samsung? This article provides two ways telling how to jailbreak Samsung phones like Galaxy S7/S7 Edge. 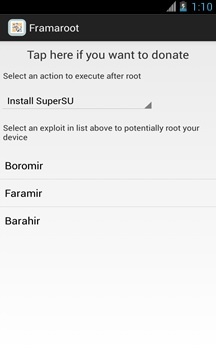 Trying tricks to root android without pc? 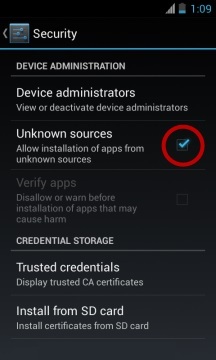 Is it safe to use root apps (apk)? We’ve listed 14 best root installers, and an option when such tricks fail. 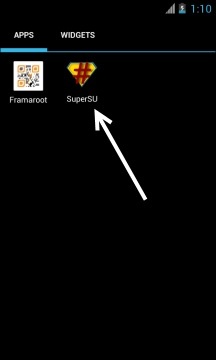 Rooting any mobile set can be a daunting task, but you can do this simply by knowing how to root properly. 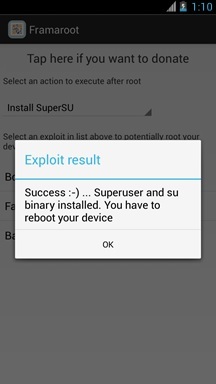 Now learn how to root Nexus 5 Android phone.